One of my favorite go-to comfort-food meals is the Friday night fish fry. Or, in this case, Monday night. I've always had a love for the fried fisherman's platters --- on restaurant seafood menus, but they are harder and harder to find. So, now, I occasionally make my own. I've experimented with dozens of different batters and coatings and finally settled on this one as my favorite. 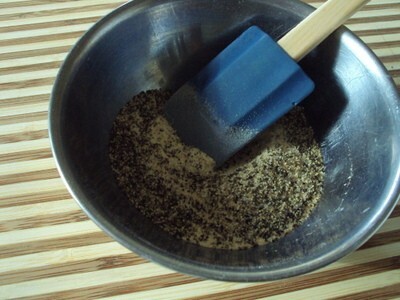 You could try adding additional or different dried spices -- thyme or celery seed, for example. And, if you like your food fiery, you could also increase the amount of cayenne pepper and/or hot sauce. I suggest using this recipe as a good starting point and then make it your own. 1 1/2-2 lbs. 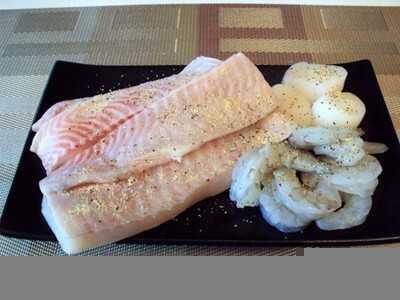 assorted fresh seafood: catfish, cod or halibut filets, peeled and deveined shrimp, scallops, etc. 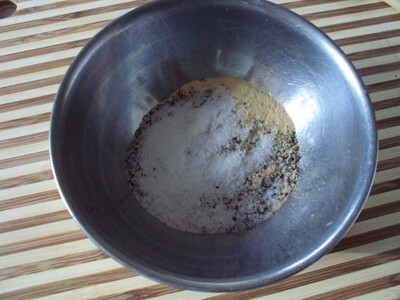 In a small bowl, combine the garlic powder, black pepper and table salt and mix well. 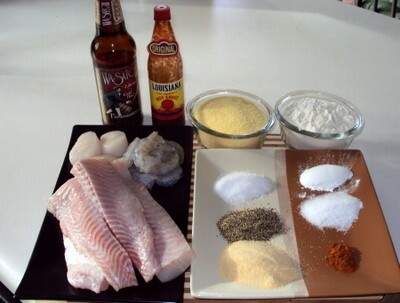 Season the seafood with the seasoning mixture. 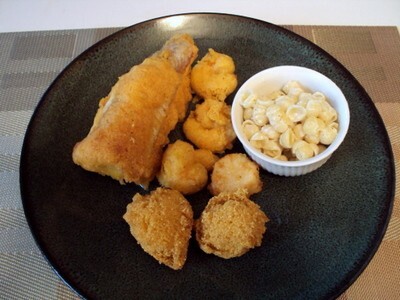 Preheat oil for cooking in a deep-fryer to 360 degrees F.
While the oil is heating, make the seafood batter. 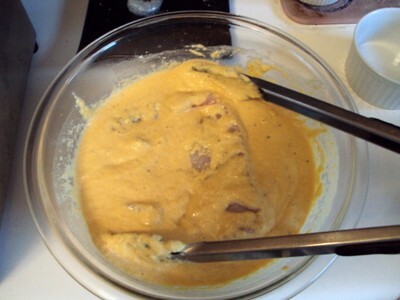 In a large bowl, combine the cornmeal, flour, kosher salt, baking powder, hot sauce and beer. 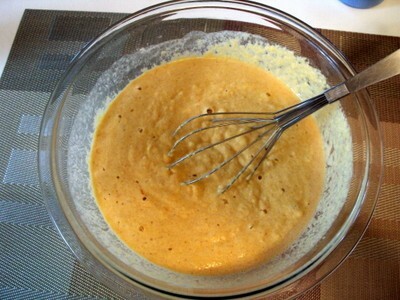 Whisk together the batter ingredients until well mixed. 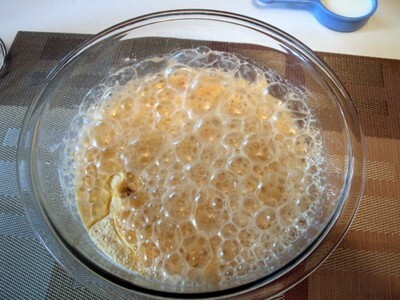 Keep whisking until the batter is free of lumps. If the batter seems too thick (it should be fairly thick) add a little bit of water or additional beer. Working in batches, dip a few pieces of the seafood into the batter and fry in the oil. Be careful not to crowd the oil or the pieces will stick and the cooking temperature will lower. Make sure the seafood pieces have plenty of room to move around. Fry the seafood in batches until golden and crispy, about 3-4 minutes.